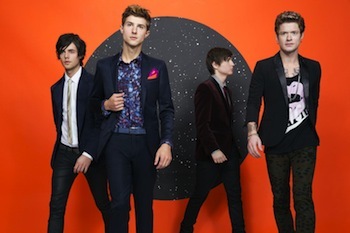 • Hot Chelle Rae, the pop/rock band comprised of several Nashville natives, is on the road with Justin Bieber this summer. The mega-star’s Believe outing will feature HCR and Mike Posner on dates that started last weekend and continue through July 20 in Boston. Following that leg, the tour heads north for a run through Canada with openers HCR and Cody Simpson in late July and early August. • Carrie Underwood has been added to the lineup for the Oklahoma Twister Relief Concert on July 6. Due to a previously scheduled show at the Grand Ole Opry, the Oklahoma native’s performance will be aired via satellite from the Grand Ole Opry House in Nashville to the Gaylord Family-Oklahoma Memorial Stadium in Norman, Okla.
• Eli Young Band has another reason to celebrate. Their single “Crazy Girl” has been certified RIAA Double Platinum for more than two million copies sold. “Crazy Girl” was previously named the Academy of Country Music’s Song of the Year. • Christian artist Matthew West will play at the Grand Ole Opry on Wednesday (June 26). This will be West’s third time on the Grand Ole Opry stage and he will appear alongside Opry members Bill Anderson, Larry Gatlin and Ricky Skaggs, as well as Keith Anderson, Sunny Sweeney, Aaron Tippin and newcomer Sara Haze. • The new Kanye West album Yeezus includes a sample of Brenda Lee’s song “Sweet Nothin’s.” The clip is used in West’s song “Bound 2,” the last track on the album. • Kenny Chesney’s stadium concert at Pittsburgh’s Heinz Field on Saturday (June 22) was pretty rowdy, according numerous local news reports. Among the 50,000 concertgoers, there were more than 70 arrests, mostly due to disorderly conduct, public intoxication and aggravated assault. Additionally, 43 minors were cited for underage drinking and about 200 people were treated for medical needs or transported to medical facilities. The event received rave reviews anyway.